Make purpose. My friend Edward always makes you think with his signs and zines. 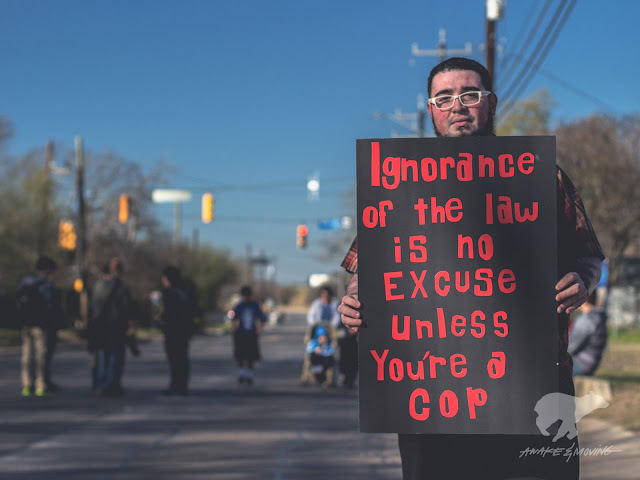 Another MLK March is currently winding down and I just hope there were more signs like these rather than the alarming plague of corporate visuals that were present in San Antonio's march last year. A sea of over-sized Wells Fargo, Valero, Walmart, etc. logos and t-shirts mean nothing.